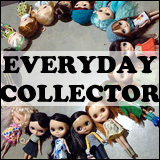 From Kenner Fever to Cured is a three-part mini series of me detailing my journey from just being feverish with wants of a Kenner Blythe to actually getting my first Kenner, an absolute dream girl. My Eden (PuPe) with Amanda-Ruth‘s Maggie Mae (Kenner) at the cocktail party the night before BlytheCon 2011 (Portland). Maggie Mae’s pip was the first I’d ever heard. Photo by me/chelleshocks. Just over a month ago I asked how you cured a dolly fever and for a very long time, I wasn’t quite sure of the method to do it either. 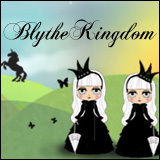 When I first discovered Blythe, it was around the time that Velvet Minuet had been released and I wanted her badly. 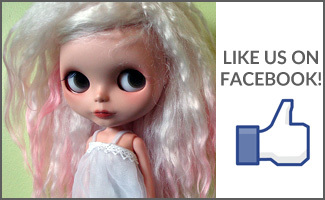 But I didn’t come to own her until I had five other Blythes. I wanted Love Mission (second Blythe) and Margaret Meets Ladybug (fourth Blythe) just a little bit more than I wanted Velvet Minuet (my sixth). 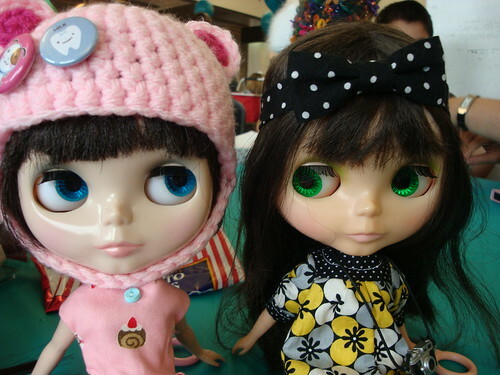 But there was always another doll that I wanted more than possibly most of my Blythes combined: a Kenner. I wanted a gorgeous 1972 Kenner Blythe. And not just any gorgeous 1972 Kenner Blythe, I wanted a redhead. Don’t ask me why I wanted a redhead. And truth be told, I considered blonde or brunette more than once as they come up a lot more frequently than reds do. But it was the redheads that I fell in love with and when I finally got to hold a Kenner for the first time ever (thank you, darling people who attended BlytheCon 2011 in Portland for these opportunity!) and then I got to hear the pip (!) I was in love. And I knew then just how badly I wanted a Kenner. However, getting to see dolls in person also had the opposite effect on some other stock dolls – I realized which ones that I really didn’t want at all! So luckily I wasn’t immediately drawn to the idea of spending all my money on a Kozy Kape (after all, BlytheCon in Portland was also a Kozy Con!) or other pricey Blythes. Just wanting a Kenner wasn’t enough though. I just had to have my dream girl at this point. So in June of 2011, I made the decision to set aside all of my overtime pay from my summer job towards a Kenner (I also set aside all of my tax-credit cheques from the government as well as my paid-out vacation pay when I left my job to go back to school for my dream Kenner). I can’t really budget for getting overtime pay, which made it the perfect source of extra money that I could put towards a Kenner Blythe. I had been searching on eBay and on buy/sell/trade forums for the “perfect Kenner” for pretty much as long as I’d been in the Blythe hobby. I wasn’t looking for a minty mint Kenner, just one that really ‘spoke’ to me. And then a decent looking Kenner popped up on eBay one day with an absurdly high shipping charge (later revised to a more conservative amount after the seller realized where I was from) and the dolly was from overseas in the UK. It’s hard to explain the differences between a modern Blythe and a Kenner unless you have the two of them side by side. They feel different. The plastic used in the 70’s to produce Blythe feels a lot different than the plastic used now to manufacture Takara Blythe. This is most obvious when you feel the original arms of a Kenner and compare it to a more modern version of Blythe. The pip that people describe that comes from a Kenner is not an exaggeration, they really do sound different. And there’s just something about the sweet little vintage faces that really shows off the difference. According to my eBay records, I’ve bid (unsuccessfully) on just over a dozen red-headed Kenners. Some auctions ended at just $10 more than my maximum bid. Others ended at several hundred dollars more than my maximum bid. But fourteen unsuccessful bidding attempts later, I bid on this pretty looking Kenner. After I won the auction, it took a few days to go over shipping methods with the seller, and then after I paid on September 25th, I had to wait (impatiently?) for the tracking information. The seller told me how she was going to package the doll (wrapped up in bubble packing and then double-boxed). I asked her to wrap the doll first in a paper towel before putting her in bubble packing – of all the issues that could potentially happy, I did not want the plastic of the doll to react with the plastic of the bubble packing. I don’t know if it had happened before or not, but it was a very expensive purchase and I would have been very upset if she got damaged that way while shipping. But the seller did it, without question. I watched that girl! Congratulations. I’m looking forward to eventually scratching that itch, too! I love reading your story!! !